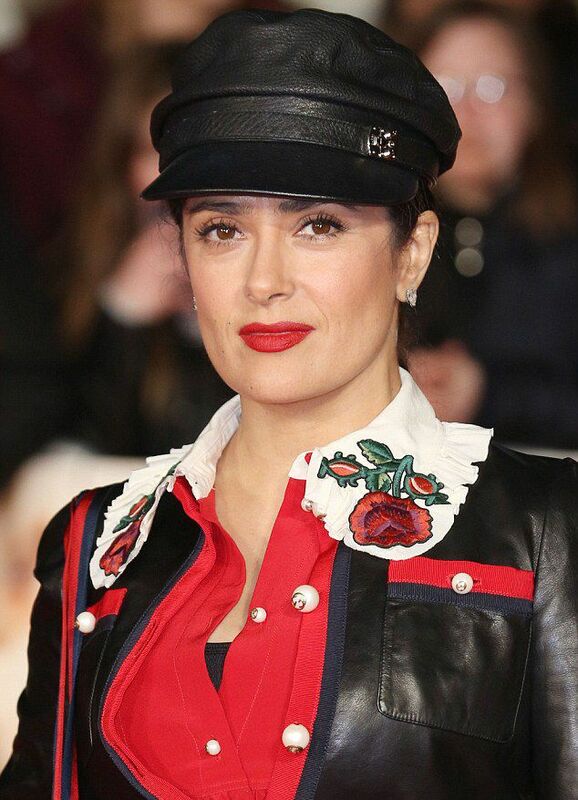 MORE 2016 GUCCI FEVER; SALMA HAYEK IS MILITARY CHIC IN GUCCI. Salma Hayek is one of the biggest Actresses on the planet, over three decades in and she is still making head ways, and also still a queen of the red carpet…Salma barely steps out at any event without causing a stare. 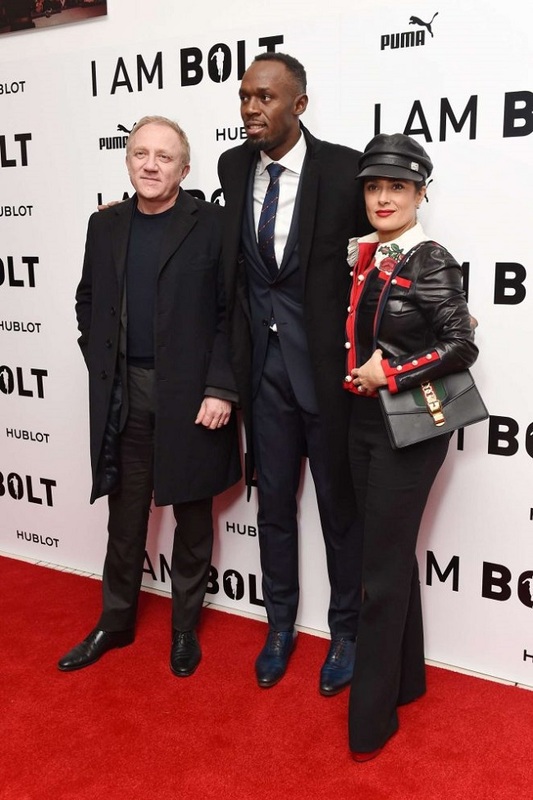 In her recent sighting, Salma hit the red carpet for the I am Bolt documentary movie, a movie about the Olympic sports Icon, she stepped out looking nautical and Gucci ready in a military jacket, some flare pants and a Gucci purse. Her shirt is the Gucci Embroidered Contrast Silk Shirt in red, it retails for £ 660 and you can get it right here. 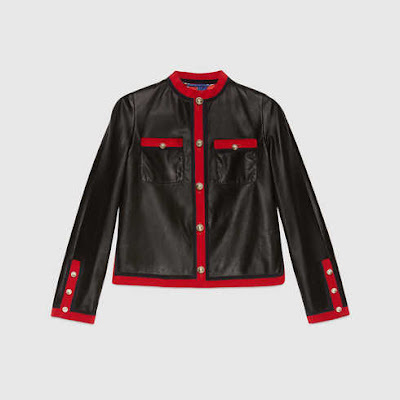 Her leather bomber jacket is the Gucci Leather Jacket with Grosgrain Trim, it retails at $4,200 and you can get it right here. 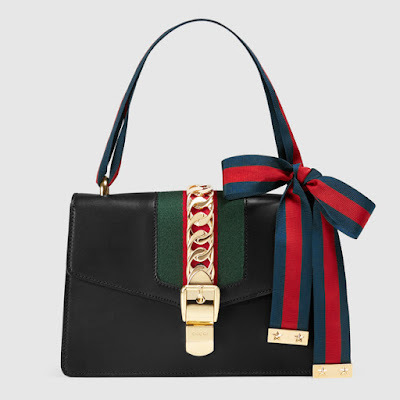 Her purse is the Gucci Sylvie Leather Shoulder bag, it retails at $2,490 and you can get it right here. She topped off her look with a black leather hat. Salma took some time to pose for pictures on the Red Carpet with her husband and the man of the moment…The bolt himself. What do you think of Salma’s look, Gucci enough for you? I think she looks great for 50 and too cool for school decked up like that. Still, i’d love to hear your thoughts so feel free to slide them down there…In the main time, keep coming back for more. AFRICAN FASHION; FABULOUS ASOEBI INSPIRATION. 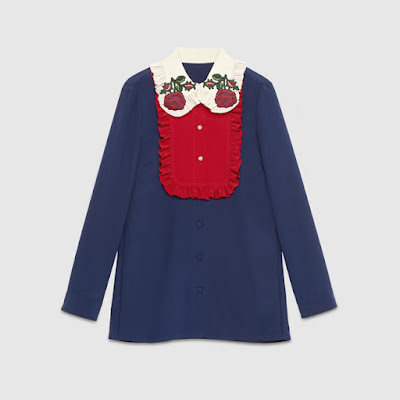 THE FASHION EVOLUTION OF BELCALIS ALMANZAR AKA CARDI-B.